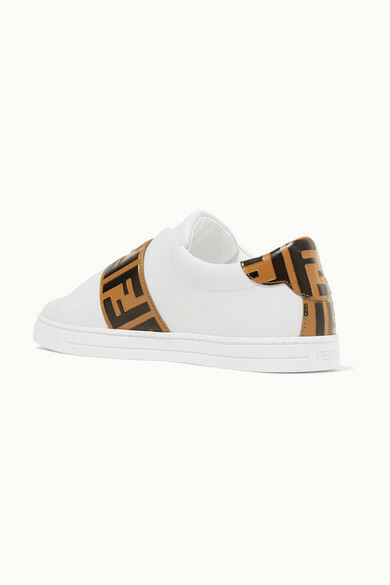 Fendi's low-top sneakers have been made in Italy from pristine white leather and punctuated with a sleek silver buckle. 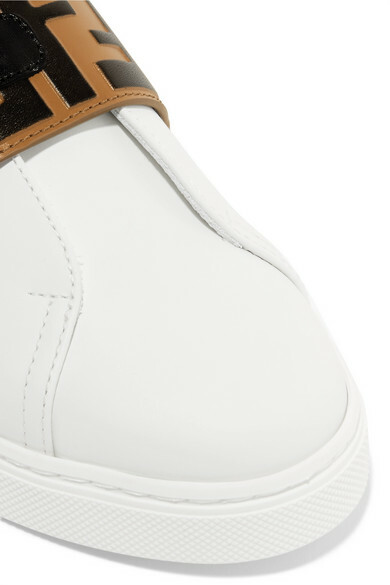 They're decorated with panels featuring the label's ubiquitous interlocking logo - it debuted in the '60s and looks just as fresh today. Wear yours with everything from denim to midi dresses. 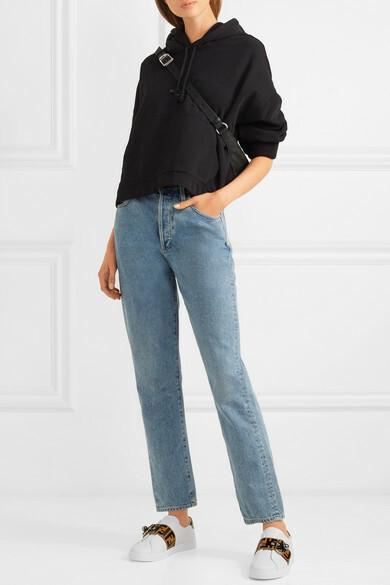 Shown here with: Acne Studios Hooded top, Goldsign Jeans, rag & bone Belt bag.